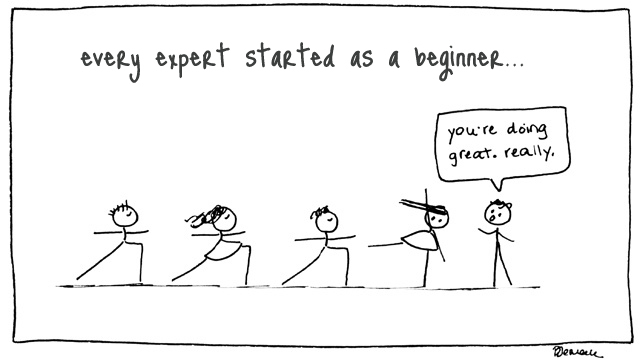 NEWBIE GUIDE - Yoga Inc.
♥ How to book for a class? At Yoga Inc, you are required to manage your bookings on your own. Firstly, please register for a MINDBODY account here. This MINDBODY account allows you to book/ cancel classes and check your visit/ purchase history. You can also choose to download the MINDBODY APP for easier booking but please note that this app can be buggy at times. With the account, you can then book for classes online as unpaid first. *Read more about our booking and cancellation policy. ​We accept payment via Cash, Nets, PayNow and Grab Pay. First timers are welcome at any classes. ​Basics, Stretch, Restorative, Yin and Hot Classic are more suitable for beginners. What is important is that participants should not be disruptive and affect other members. ​Children are strictly not allowed in hot yoga. Senior citizens are also welcome to attend yoga classes, although if exercise is not part of their regular routine, it is recommended they try more gentle classes such as stretch or basics. Please read our house rules and arrive at least 15 minutes before your first class, so we can show you around the studio, and you can talk to our friendly instructors if you have any questions or health issues. While our yoga instructors will do their best to accommodate any injuries or health issues you may have, they’re not doctors. If you’re not sure, it’s worth having a quick chat to your doctor before you rock up for your first class. Bring a padlock for the lockers. Bring a change of clothes to wear after class. You will sweat! Bring water or fill up a bottle when you get here. Our shower rooms have body wash and shampoo, but not conditioner. Try to skip that Char Kuay Teow you've been lusting over if it’s 2-3 hours before class. Save it for later. your stomach after a full meal can be a bit uncomfortable. ​Come to class hydrated. Rather than guzzling down litres of water just prior or during the class, try to make water part of your daily regime (2 – 3 litres a day). Please slip off your shoes as you enter our premise. Yoga is a barefoot thing, so we try to leave the dirt at the door. Lockers are provided, so please stow your phones and bags for the duration of the class. Please observe silence in the studio room. The yoga studio is traditionally regarded as a sacred space. Just as you are to leave your shoes in the lobby, you are to leave your conversation at the door as well and enter the studio as silently as possible. This way, you aren't disturbing others who may be using the time before class begins to quiet their minds and relax. Try to stay for the whole class. Staying for the whole class the first time round can be tough – your body might not be used to bending and stretching that way, especially if the room is hot. But even if you sit on your mat the entire time, at least you've stayed for the whole class! There’s a good physical reason for it too: yoga classes are very carefully designed to work systematically though your body so each pose is followed by a counter pose. Leave halfway through and you won’t get the full benefits. It is also distracting for everyone else if people are coming and going. So try to stay put! You will sweat and get a good work out! Nobody gets it all right the first time. Just follow the instructions as best you can, let the instructor guide you, and watch those around you. You’ll be surprised how fast you can pick it up!